Back in May when I qualified for Worlds, I was having a great season. There was a great balance of work, family and training. The previous 12 months or so at work had been particularly challenging and long hours, but things seemed to be going well. A month or so later it became downright crazy. Demands were higher which demanded working more hours. With the hours at work getting longer, something had to give and that ended up being my training. 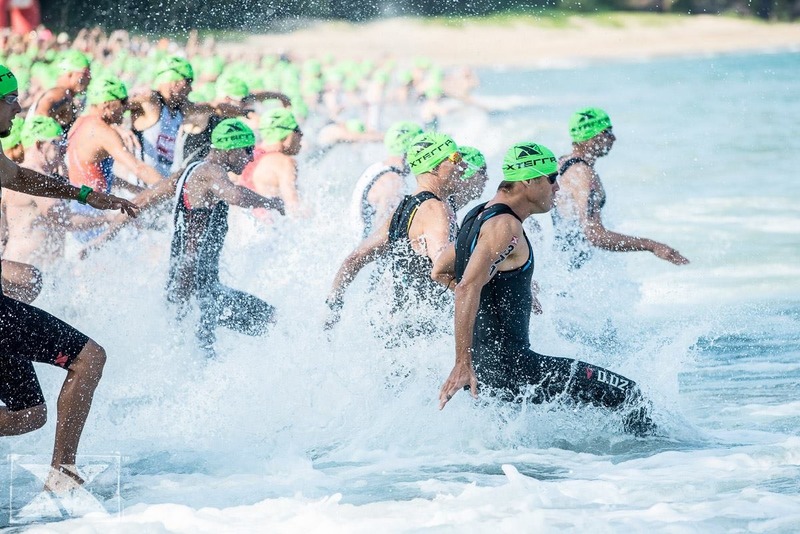 Finishing up the XTERRA Whitewater race in July, squeezing in time for training began to get tougher and tougher. 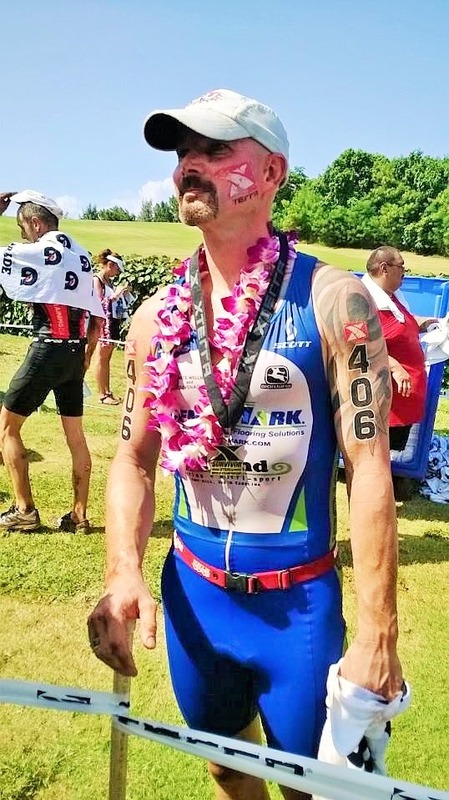 By the time the XTERRA Charlottesville race hit in August, swimming had become the first casualty. Working late into the evenings, it became harder to drag myself out of bed at 4:30 for the trek to the pool. 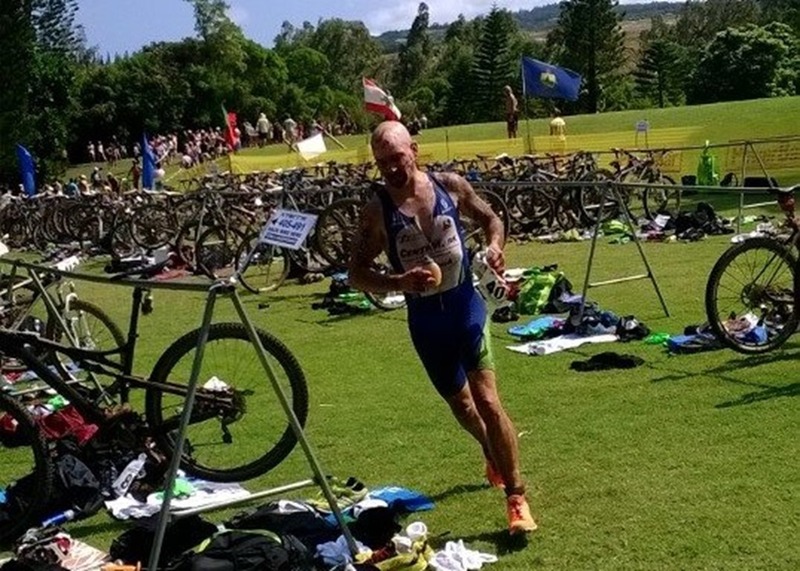 I managed to keep my riding and running up going into the USAT Offroad Nationals, but shortly after, training became non-existent during the week. I could only manage training on the weekends and this usually meant only one day to head up to the mountains with the other for catchup around the house and more work. Needless to say, going into Worlds, I felt very unprepared, but with the money already spent, I was committed and really needed the trip to clear my brain and unwind a bit with Alba. 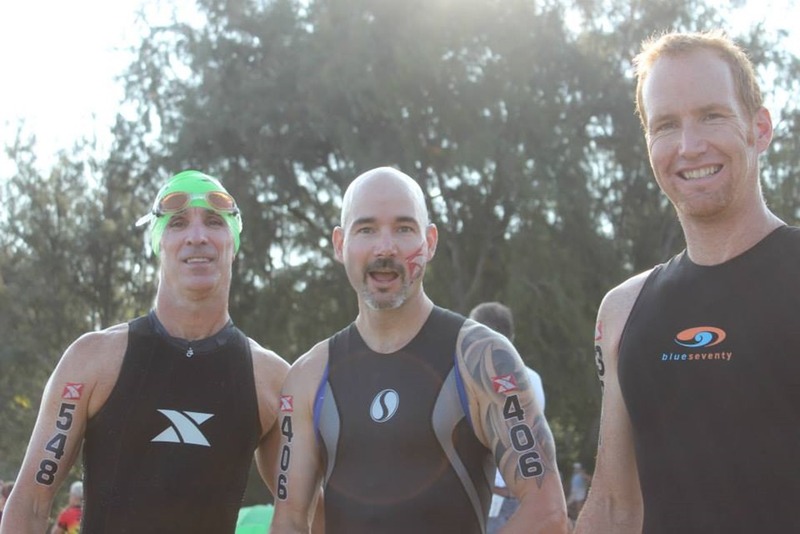 The week leading up to the race, I got to spend a little time on the course with a few of my XTERRA family, both new friends and old ones. I was able to capture video of it during the training rides (and even some of it during the race). 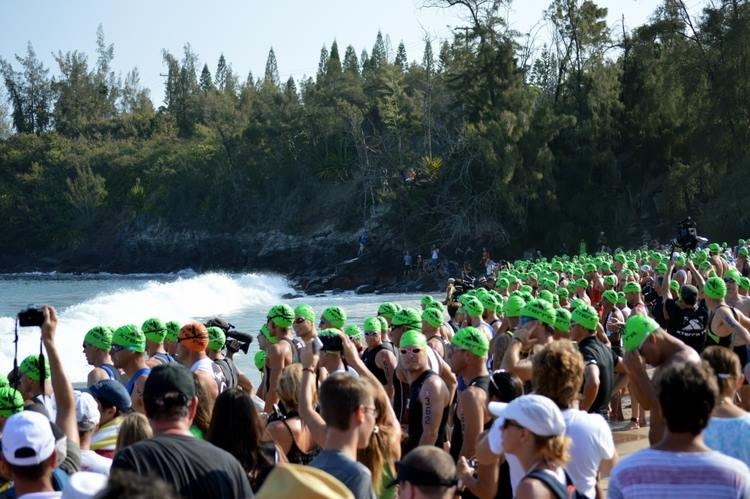 The race started off with us lining up on the beach for a rough water ocean swim of 1 mile in length. After a quick boom of the cannon, the pros were off. A couple of minutes later we get our cannon shot and we were off as well. 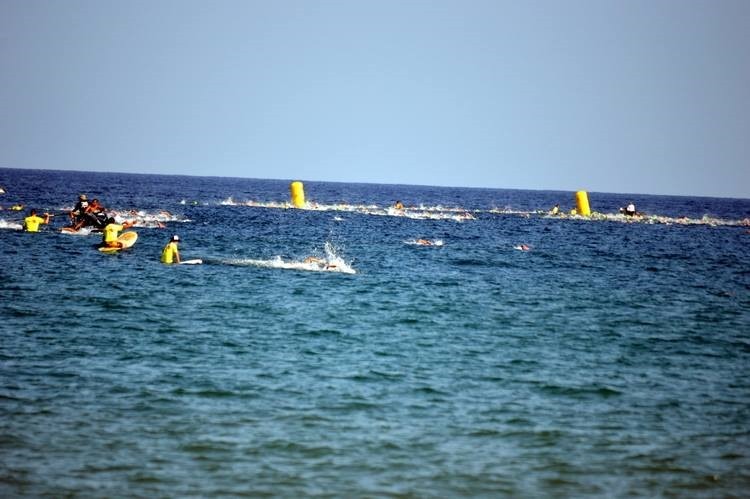 The swim was broken up into a 1000 meter swim back to the beach, short beach run and then back out for another 500 meters. I felt pretty good coming out onto the short beach run. 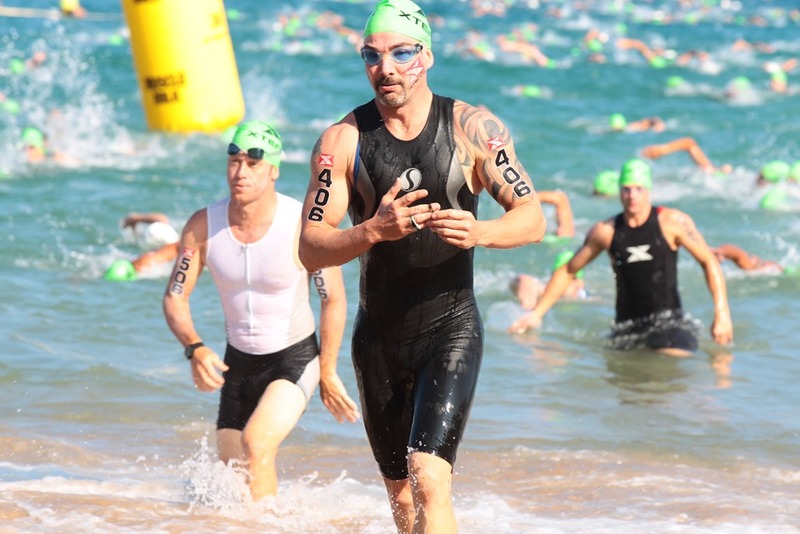 I knew I wasn’t having the best swim ever, but considering the lack of training going into the race, I felt it was decent. Another key piece of info: a couple weeks prior to Worlds, I had a small bike crash while riding in the mountains. The crash itself wasn’t spectacular, but it did cause me to dislocate my right ring finger. Long story short, when I held my hand up with fingers pointing straight up, as if pointing to 12 o’clock, my ring finger was pointing to 2 o’clock. I snapped it back into place and kept riding. Needless to say, I was still having problems on race day. I used duct tape to “buddy tape” it to my other fingers in an attempt to protect it. Coming out of the swim you can seem me pulling off one round of tape in prep for the bike. T1 went flawless until.. 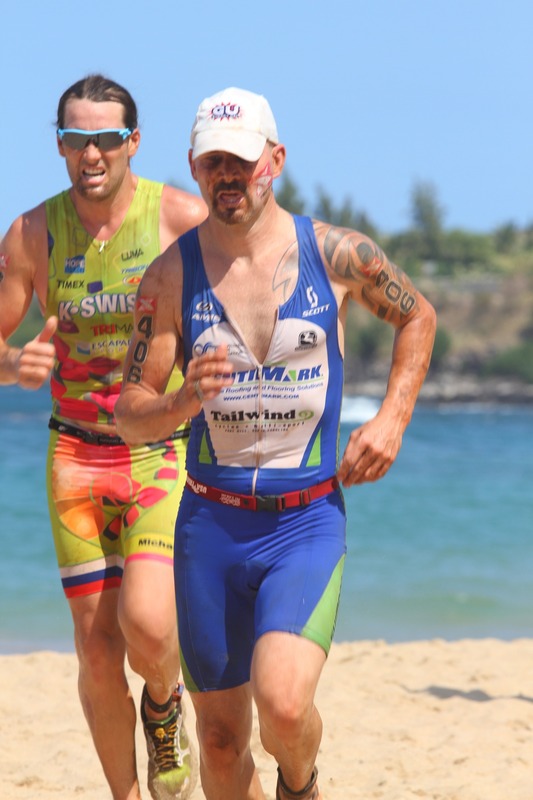 I realized running out of transition with my bike that I still had on my swimming speed suit. What a rookie move!! As many times as I have practiced and practiced and practiced my transitions, I made such a simple mistake. I stopped at the exit of transition and ripped it off. Being far from my spot, I tossed it onto the ground just inside the transition fence. It would be the last time I would see it. Rather than explain the ~3000 feet of climbing that we do on the bike, check out the video I made. My ride went good and I only crashed once, sliding out on one of the turns. I conserved a bit (maybe a little too much) so that I would have something left for the run. Again, notice the duct tape around the right ring finger, holding strong. Heading into T2, I went over it over and over again in my head giving the mistake I made in T1. I didn’t want another simple mistake. As I approached, I got my feet out of my shoes and executed a great rolling dismount just before the line. I transitioned quickly and Alba snapped a shot of me rounding the end of my row. Notice in the background the two rows of pro bikes already in transition. 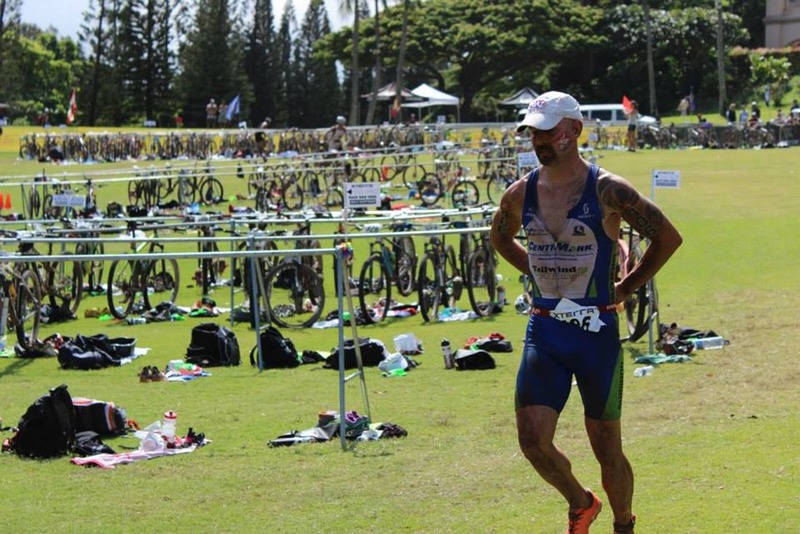 I ran through the huge transition area and donned my racebelt and hat on the way out. The run consisted of more climbing of 1000 feet or so, most of which was in the sun or partial shade and it shared much of the beginning of the bike course. Once we started the downhills, I ran as fast as I could clearing obstacles along the way. There was a waterstop at approximately every mile and I took advantage of them to douse water on top of my head. It cooled me off and actually cleaned me up quite a bit in the process. The worst part of the run was the last quarter mile which consisted of a beach run. 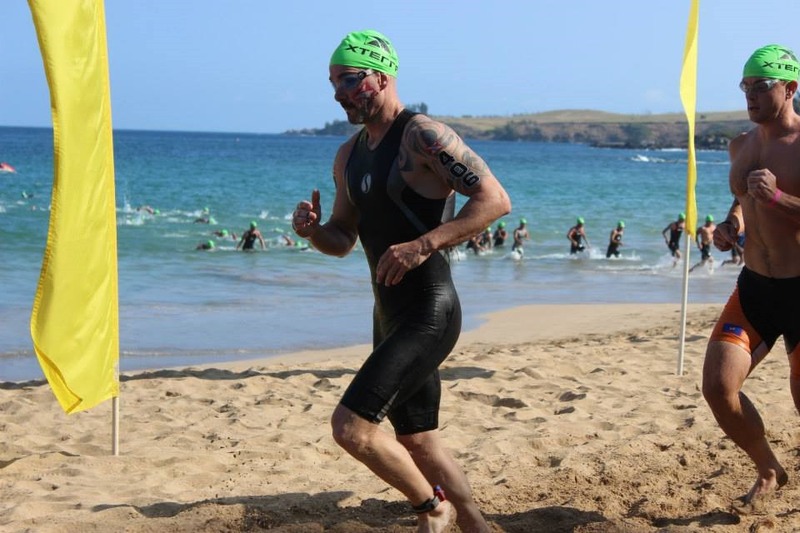 Noone likes running through soft sand, but it did allow me to pass a few more people and gain a couple more spots. The finish at the bigger XTERRA races are always pretty cool because of the long finish chutes lined with flags and cheering spectators. I could hear Alba and friends cheering us on. Deena Strangia snapped this pretty good shot coming into the finish chute. I made my goal of finishing in the top 25, but couldn’t manage to squeak out my stretch goal of top 10. It was a fun event and I had an absolute blast! 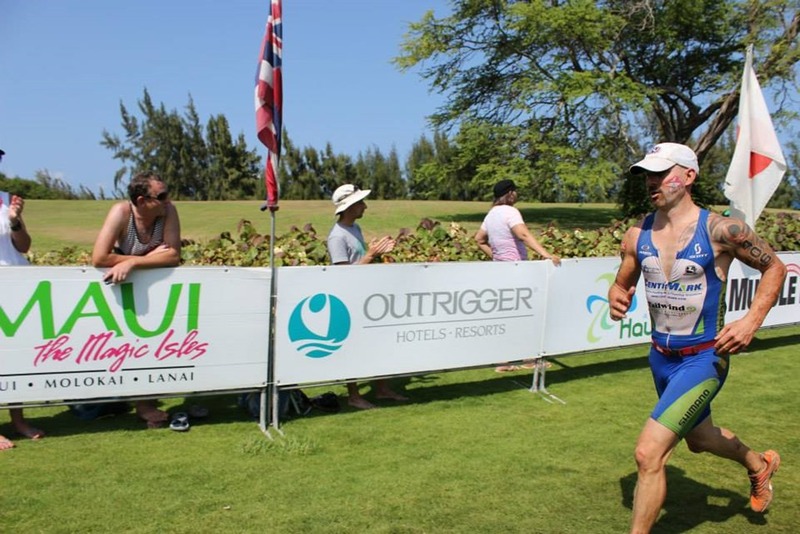 To top it off, I also had the opportunity to see much of my XTERRA family, many of which spent a lot of time in Maui following the race. We spent lots of time with them all which was a blessing in and of itself. During such, I took some video of us having some Maui fun. Products used: GU Roctane and GU Brew, Schwalbe Rocket Ron Tires, Cobb DRT SHC Saddle, ESI Grips, Crank Brothers Candy 11 Pedals. 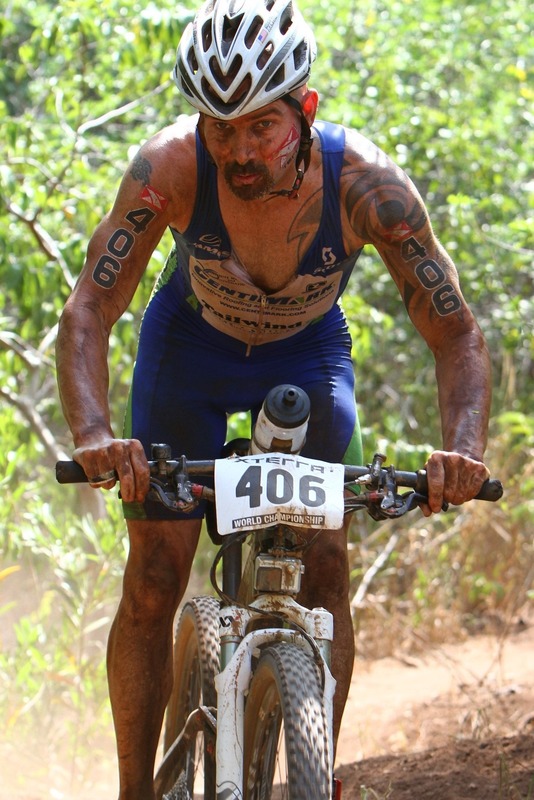 Also check out the XTERRA World Championships Highlight video.